Electric-vehicle maker Workhorse announced today that it has begun initial production of a 100-mile range electric delivery truck called the NGEN-1000. But it was purchased in 2015 by AMP Electric Vehicles. Since then, the company has promised that "All Workhorse vehicles are designed to make the movement of people and goods more efficient and less harmful to the environment." 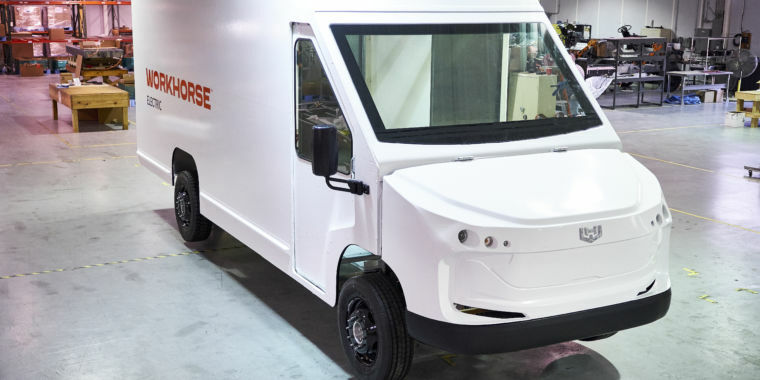 In February, Workhorse signed an agreement with UPS to deliver fifty 100-mile-range electric trucks for testing in Los Angeles, Dallas, and Atlanta through 2019. Daimler has also recently announced short-range (62-mile) electric trucks called the Fuso eCanter.